Other beverage container recycling centers in Santa Cruz County can be found here. Check the label to see if a container is eligible for CRV (California Redemption Value): it will say “CA Redemption Value,” “California Cash Refund,” “CA CRV” or “CA Cash Refund.” Aluminum cans are labeled on the top of the can, and plastic or glass containers are labeled on the side. 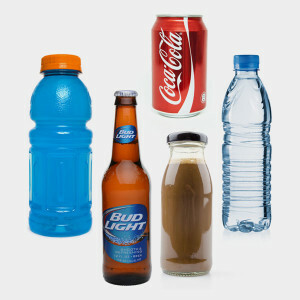 The following items are eligible for CRV: beer and malt beverages, wine coolers and distilled spirit coolers, carbonated drinks (fruit, water or soft), non-carbonated drinks (fruit, water, soft), coffee and tea beverages, 100 percent fruit juice less than 46 ounces, vegetable juice 16 ounces or less and sports drinks. The following items are not eligible for CRV: milk, medical food, wine, spirits, 100 percent fruit juice more than 46 ounces, vegetable juice more than 16 ounces and food & non-beverage containers.